I rode with “Pretty Boy” aka Jamie when I was in Tokyo for the CMWCs. He’s a really nice dude who in his spare time makes a ton of messenger-inspired and required goods. His company is cleverly called Skin Grows Back. 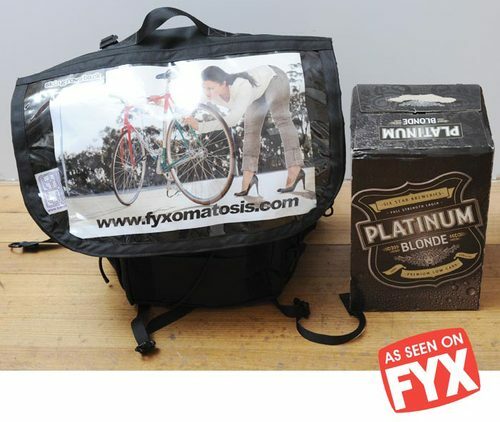 Andy at Fyxo just posted a great little write-up about his custom backpack they made for him. Head over and check it out. I’d carry my dog in one along with 12 blondes.